When it comes to choosing your anti-aging treatments, dermatologists recommend choosing tretinoin 100% of the time. Tretinoin is an active ingredient that can help turnover our skin cells and boost collagen production for smoother, tighter skin. Here’s the catch: the only way to get your hands on tretinoin is through a prescription, meaning you'll have to go through a dermatologist to get it. That is simply not an accessible option for everyone. You shouldn't have to jump through hoops just to treat your skin the way it deserves. With Face-Rx, that process is simplified for you. 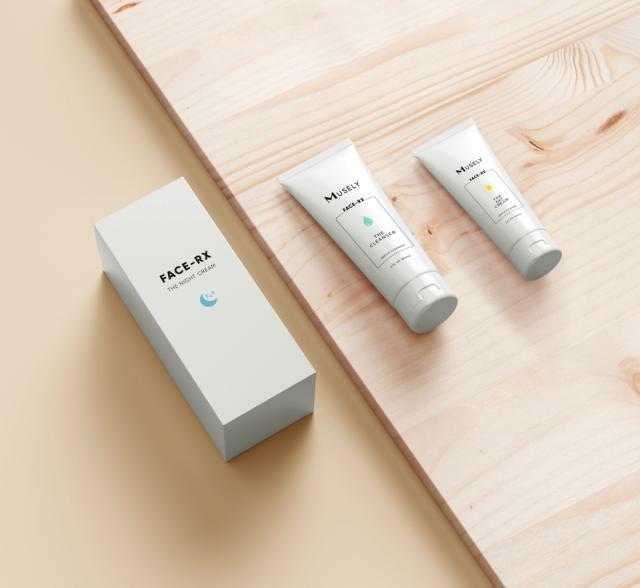 Face-Rx eliminates the doctor visits and pharmacy lines—patients just need to complete an online digital assessment about their skin history, and then a doctor will review their information to see if they are eligible to receive our prescription anti-aging treatment. If they are, Face-Rx will be delivered straight to their doorstep. No hassle necessary. But accessibility to tretinoin isn't the only downside Face-Rx makes up for. Because tretinoin is working hard to to reveal your new skin, the effect of increased skin cell turnover can be irritation and flaking. Formulated by board-certified dermatologists and lead cosmetic chemists, Face-Rx enhances tretinoin alone by adding soothing and hydrating ingredients like niacinamide and hyaluronic acid. These added ingredients ease the side effects of tretinoin as well as making the skin softer, smoother, and more radiant. You won't get that with just tretinoin alone. • Cleanser that gently cleans out clogged pores without stripping you dry. 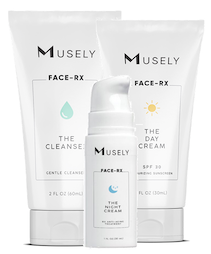 Once you begin your Face-Rx journey the eNurse feature allows you to easily track your results, communicate with dermatologists, and learn more about how the Face-Rx system is transforming your skin.